Will use the young people’s real work experience from their vocational placement in building 20 Squared’s Virtual Reality Work Experience game (funded through the Empowering Youth Initiative). If you are interested, please call Paul McCallum on 0418 523 175 or complete this application form below telling us why you want to participate in 20Squared! WHAT IS THE 20 SQUARED Project? 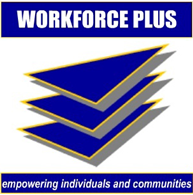 20 Squared is being run by Workforce Plus Inc, a not-for-profit Registered Training Organisation based in Victoria, with funding from the Australian Government’s Empowering YOUth initiative. We are working with young people in Broadmeadows and in Colac over the next 12 months to help design and develop a Virtual Work Experience Video Game for the Disability and Community Care Industry. Right now we are looking for 10 unemployed young people aged between 15 and 24 from Colac to join the 20 Squared Project. Have been unemployed for a continuous period of six months or more. Training, including with the Australian Centre for the Moving Image at Federation Square, work readiness, communication, introduction to disability services and preparation for vocational placement. Vocational placements with a local disability service organization where they will learn about working in Disability Services. The 20Squared project team is going to gather information from the participants about their Work Experience to inform the development of the 20Squared Virtual Reality Work Experience Game. Participants will develop new skills and become work ready and be supported to find and stay in work. If you live in Colac, aged between 15 and 24 and are unemployed and interested in joining the 20 Squared Project please complete the application below. Why are you interested in joining the 20 Squared VR Work Experience Project? What you think would be important in working with people with disabilities?